I first started playing Pokemon GBA games on my Windows XP PC, then when Windows 7 came out and decided to upgrade my computer. Both Windows XP and Windows 7 are great operating systems for playing Pokemon, almost all GBA/GBC emulators work with virtually no problems. Then I decided to buy Macbook Pro, and everything has changed. Osx is very different and almost none of those emulators I used works with this computer. Visual Boy Advanced is my favorite GBA emulator on Windows, but I can’t find an alternative emulator that works the same with VBA on Mac. As a Mac OS user and Pokemon fan, I tried to find an alternative emulator and then finally I met Open Emu. OpenEMu is a multi video game system that supports and emulates almost all gaming system. When I tried OpenEmu, I was amazed the features as well as the convenience it gives. Moreover, it enables me to play Pokemon GBC, GBA, and NDS games without leaving the app. A cool and handy application isn’t it? Step 1: First you need to download OpenEmu by visiting their website. Click on the download button to download the application. Step 2: Save the zipped file in your Downloads folder and unzip when finished downloading. Step 3: Copy OpenEmu and paste it on your Mac’s Applications folder. Ste 4: Finally, right click OpenEmu and choose “Open.” As you open the application, you will notice a list of game system names supported by OpenEmu. Playing your favorite games on OpenEmu is pretty straightforward and easy. You simply need the game file, for Pokemon GBC, GBA and NDS all you need to have is the ROM file. Step 1: Download desired ROM file on the internet (Check Emuparadise.me). Step 2: Drag the ROM file to OpenEmu and let the application load your game. Step 3: Play the game as you desire and have fun. Minium Requirements: OpenEmu requires at least OS X 10.11 El Capitan to run. If you are a fan of Pokemon ROM hacks, you surely can play your favorite hack on OpenEmu without problems. All you need is the ROM file and IPS patcher such as MultiPatch. OpenEmu is a fantastic application, and you will surely need this. 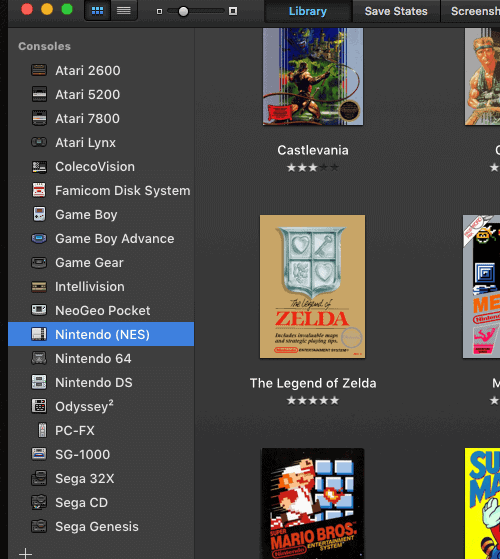 Emulation of almost every game is made easier and more organized with OpenEmu. If you are a Mac OS user and an avid gamer, there’s no reason for you not to download this app. No problem Emre, thanks for dropping here.